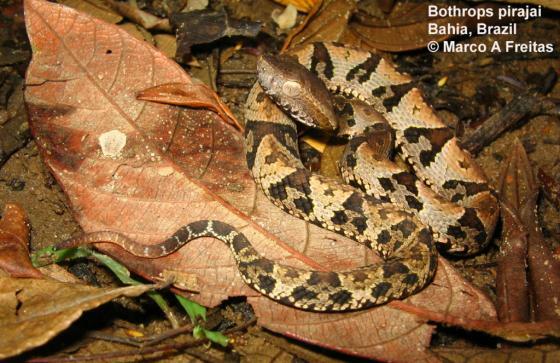 Can you confirm these amateur observations of Bothrops pirajai? Type locality: Ilhéus, Bahia, Brazil. neglecta: Type locality: "Bahia, Brazil." Synonymy: Note that Amaral described Bothrops pirajai and B. neglecta as new species in two independent papers, published in 1923 and 1926. Synonymy following McDiarmid et al. 1999: 270.